Let's set the scene: It's a snowy day in Erie, Pennsylvania, during Christmas break of 2010. Ten of my eleven siblings were home for the holidays, and I was happy to be with family. Christmas break was filled with family time, working out, and running my startup web hosting business, which would quickly evolve into the agency GuavaBox. Andrew, my business partner, read the book at the same time, and we shared this vision of building a business that would scale beyond us, capable of operating seamlessly without the direct operational contributions of the founders. It didn't take us long to realize that we needed to quickly start applying what we had read in The E-Myth. Leadership needs to -- shocker -- lead. This is not an initiative to be led by your summer interns. Following documented processes is a new skill. This may be slow and seem unnecessary at first, but practice and dedication pays off (especially when you bring on new team members). For the first 18 months of GuavaBox, we were doing a ton of small WordPress web design projects. One of the first things we built out was the GuavaBox Custom WordPress Install, a pre-built WordPress instance with all the tools and settings we regularly used. What used to take a solid two to four hours of initial setup could now be done in five minutes. Okay, enough embarrassing screenshots from the primitive days of GuavaBox. Let's move on to how to systemize your agency. Note: You need to actually prioritize. You can't have 30 top "priorities." Create a high impact, but achievable, list of three to five processes to document. Systemization is a marathon, not a sprint -- starting small and building consistently is critical for success. How much detail is appropriate for your team? Do team members prefer to watch how-to videos or read text? Who needs to participate in documentation? If a process needs to be improved, who is responsible? Start by understanding your team's culture and choosing the appropriate format for them. Get your team's input, and make sure everyone is on the same page about documentation formats, how to follow processes, and who is involved in continuous improvement (hint: this should be everybody). 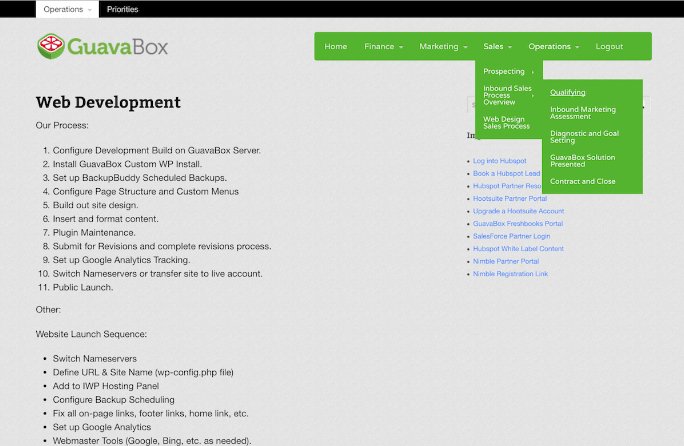 At GuavaBox, we use an ordered list of steps, add more details where necessary, and create a quick video overview (using either QuickCast or Screenflow) so that team members can access bullet points for a quick reminder or watch the process being executed step-by-step if they need more detail. Want a copy of our process boilerplate? Check it out here. There are tons of tools to choose from that are capable of storing your processes. But processes need to live where work is being done -- in other words, a process binder on the shelf that never gets opened is useless. Regardless of platform, what matters is understanding your needs, picking a platform that meets those requirements, and then committing to standardizing and scaling your agency. I can't stress enough the importance of accountability to make sure your team members are all following the processes you've documented. If team members never referred to processes, then you'll continue to be plagued by inconsistent deliverables, spotty results, and inefficiency. The idea here is simple -- everyone blocks off a period of time (a full day, a half day, or even just a couple hours), has a list of what needs done, turns off all distractions, and cranks out documentation. Every month or week, block off three hours in the morning for your core team members. Spend the first two hours working on documentation of your processes. Take any notes on ideas you have for the next block and shut down the work after three hours. Sticking to a specific time block is a big psychological advantage. At GuavaBox, we applied batch days to many areas of our business, including marketing our agency. This helped us grow our blog traffic from less than 1,000 visits per month to more than 15,000 per month in nine months. That work, based on the processes we had in place, was a huge part of our agency growth and success. Determine what method of continuous improvement works best for your team and make sure it's a shared expectation by all team members and that everyone is held accountable to that standard. I understand -- I've been there. It wasn't until we felt enough pain and committed to overcoming that pain that things really started to take off. But the GuavaBox narrative alone might not be enough to convince you, so I want to share examples of documented processes from a number of other successful agencies. 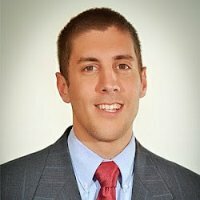 Josh Ames' web design processes that helped Spark Reaction reach HubSpot Platinum partner status in two years. Elyse Meyer's 126-point checklist for client onboarding or Eric Pratt's first 30-day formula for clients at Revenue River. Web design processes from HubSpot Diamond partner New Breed. All of these successful agencies have amazing stories of how they leverage processes for client success and agency growth. Learn from their example and get serious about systematizing your business. What processes do you have in place that have fueled your agency's growth? Share your story in the comments below!